It's been a week of stressful sembreak for us teachers because we attended a week long seminar on action research. That's why I decided to use my premium pass yesterday courtesy of Bioessence which I got from Blogapalooza to get some quick facial and relaxation. I actually got a text prior to my decision of getting a treatment from the Bioessence team to use the pass until 31st for a chance of meet and greet with Allison Harvard. I happily obliged despite the hectic schedule. Anyway, what I actually needed was really a break. I visited the Bioessence at Waltermart here at San Fernando, Pampanga. Kapampangans were lucky to have a Bioessence branch here to take care of them. They're celebrating their 20th anniversary that's why bloggers from Blogapalooza got this premium pass. You will also know that the shop celebrates their anniversary because of this very lovely balloon and flower. It really complemented the beautiful services they have. They have a very spacious waiting area and it looks sophisticated as well. You will really feel a relaxing ambiance here. After checking my skin, she introduced Rhona to me as my therapist. (I'm not sure if it's Rhona or Roda.) She guided me inside and before we started our session, ms. Alice happily toured me around the whole branch. She showed me how big this branch was despite it looking small from the outside. A room inside another room after another room. They have couple rooms for spa which even has sauna inside. 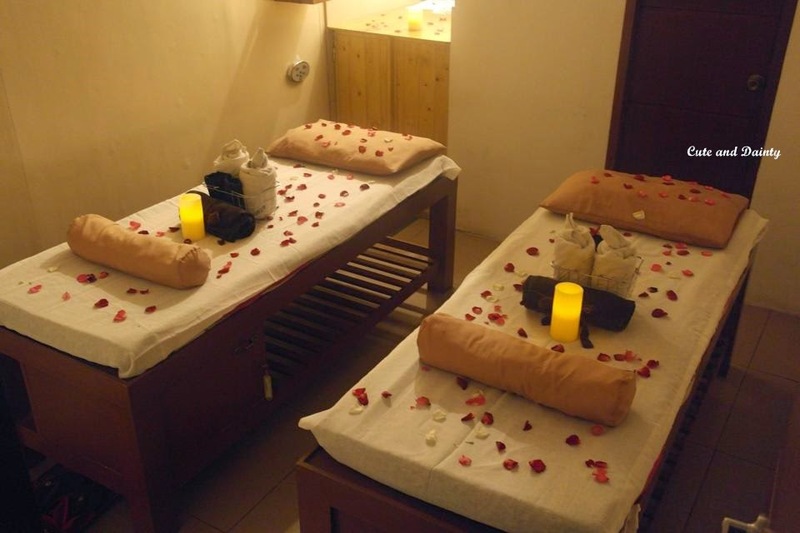 I really like their wonderful rooms and setup so I am thinking of inviting boyfriend to try their spa here. 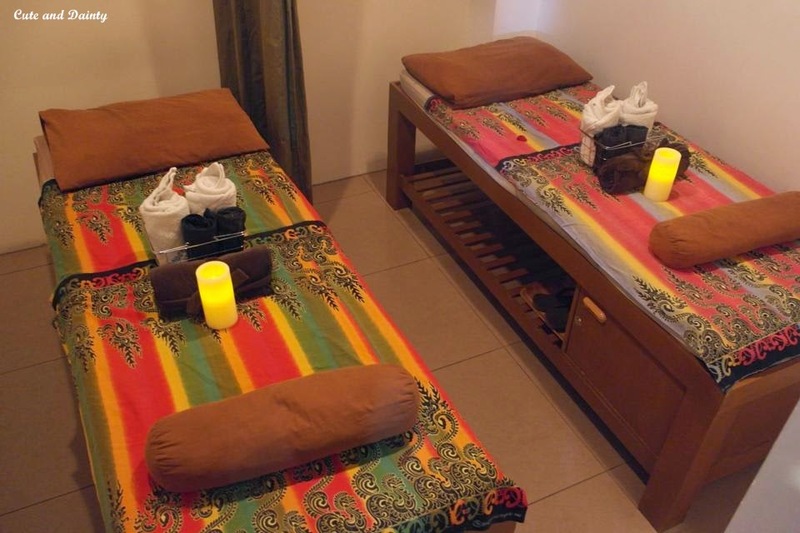 It's one of our hobby to go to different spa centers and this one will definitely be in our upcoming spa-to-visit list. Ms. Alice provided the executive area for facial to me which I am really thankful. The light was not really dim plus my camera has a flash so you are seeing a natural shot. These were the things Rhona put on my face. She started with preliminary massage for about a minute or two then she put on some cleansing milk. I love how my skin felt smooth after cleansing. Then she put on some scrub then toner and she steamed my face for 5 minutes before the extraction. We were talking about different things about facials before the extraction when I suddenly fell asleep. Bet she's really good because I felt really relaxed despite resisting on sleeping so I can feel the whole experience and can transmit it into words. That being said, it only means the service was so great that I didn't woke up in the middle of the extraction. When I woke up, she put on some cream then gave me some back massage for the end part. Definitely a trip to remember and will come back for more! nice! I availed the stress relief back massage! I want to have a massage for relaxation. Hopefully Mommy and I got time for this. I'm glad you were able to relax by having a free facial. I'm not a big fan of facial services. I got scared of the stories I heard from some friends who experienced having a break out several days after having a facial. But just like you, I wanted to have the time to relax also.. I'm thinking of maybe getting a spa or massage. Their personalized treatment is admirable. I tried having a facial treatment with another company and there was no skin consultation. I requested for someone instead who can gently treat me; and I was happy to go out without my face getting bloated from all the pricking. Lucky you to have the most sought after massage. Looks like you really had a grand time. I haven't been to the spa for ages :( You deserve the break sis. I have never been to any spa or beauty clinic. I really want to but we have no time. Hopefully, in the future I can experience this too and I'll remember this Bioessence when I have finally the time to have a beauty me-time. So nice that you were able to have the chance for a beauty break. Wish I could have time for something like this. Teachers are modern-day heroes.You deserve the treat. My skin is a facial virgin. I am an advocate of "If it aint broke, dont fix it" motto but reading your experience, I wanted to try this, too. That is a nice treat! I miss that, Tet! I wonder when I can visit a spa for a facial session. I hope one of the female office mates will invite me to join her in her facial session. :-) I want one before the year ends.